Susan's Saga: So Many Specials! Psst! I just had to tell you about the specials and promotions available from today! First of all, Stampin' Up! 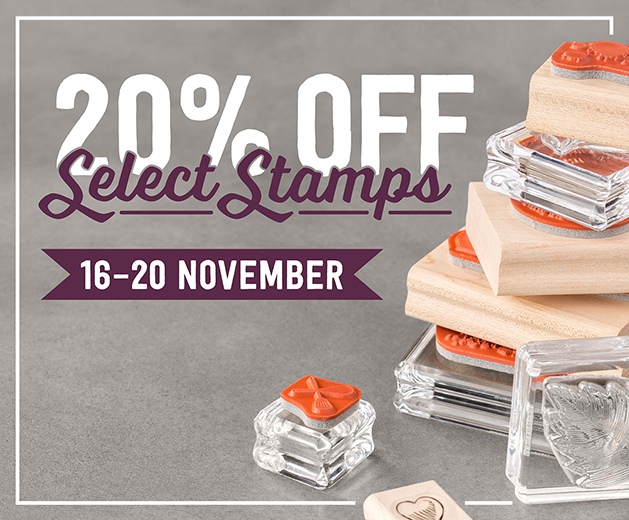 is discounting selected stamp sets from the 16th to the 20th November. That's now! 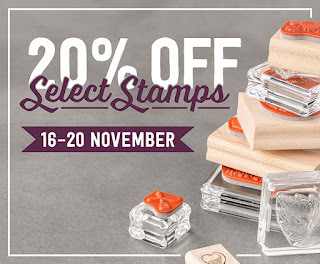 You can see everything on special at my Shopping page, where you click on '20% off Stamps'. As well, the Seasonal Catalogue ends soon, and items are retiring out of that already. Goodies in the Seasonal Catalogue will be available only while stocks last until January 4th, so be sure to purchase your favourites before they are gone forever!